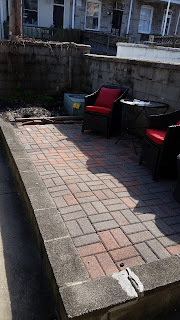 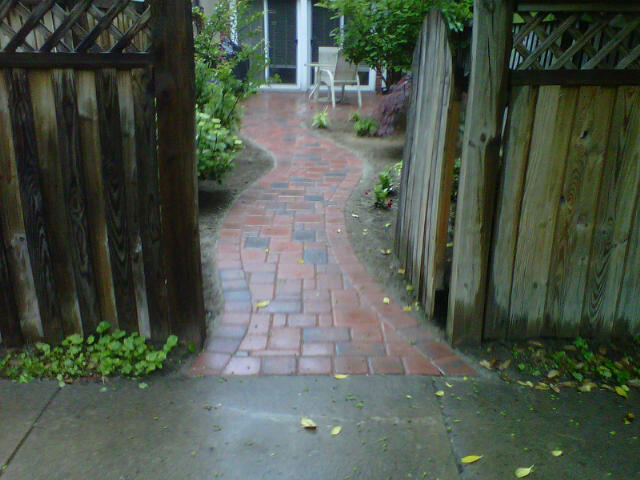 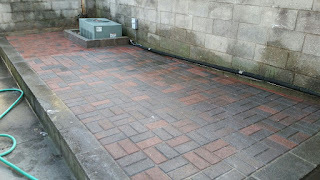 Appian Random red charcoal blend pavers. 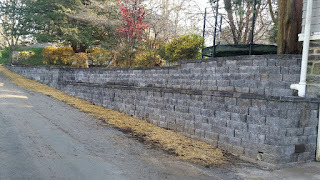 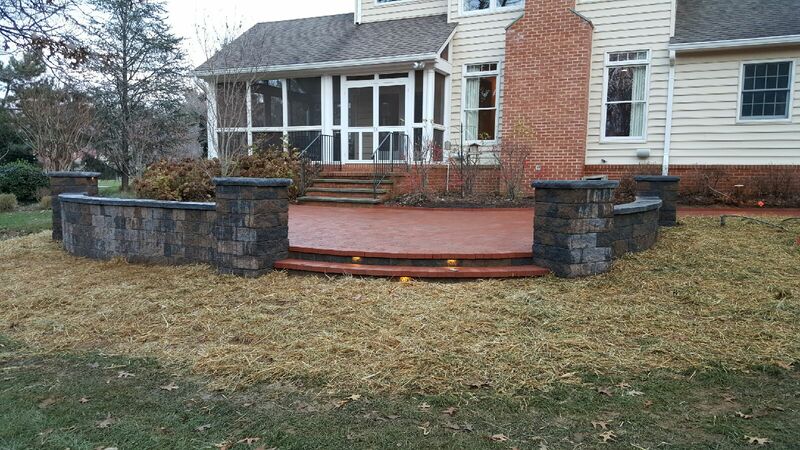 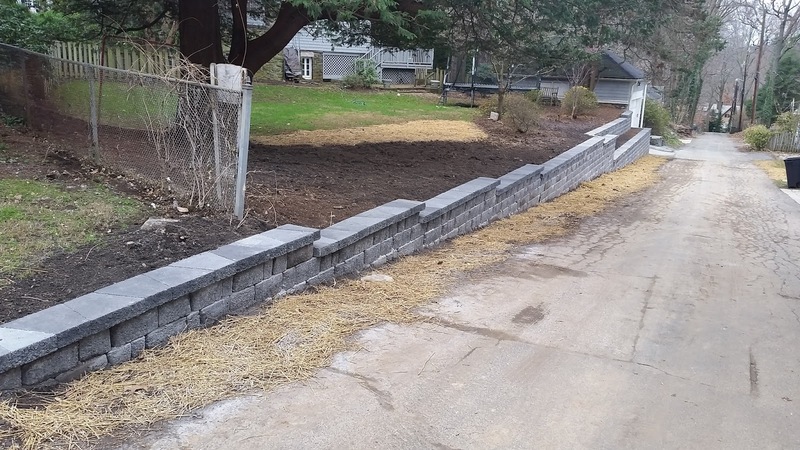 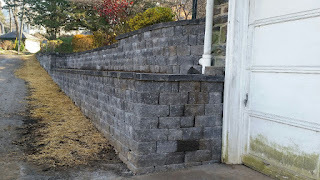 Replaced existing mortared stone wall with interlocking retaining wall. 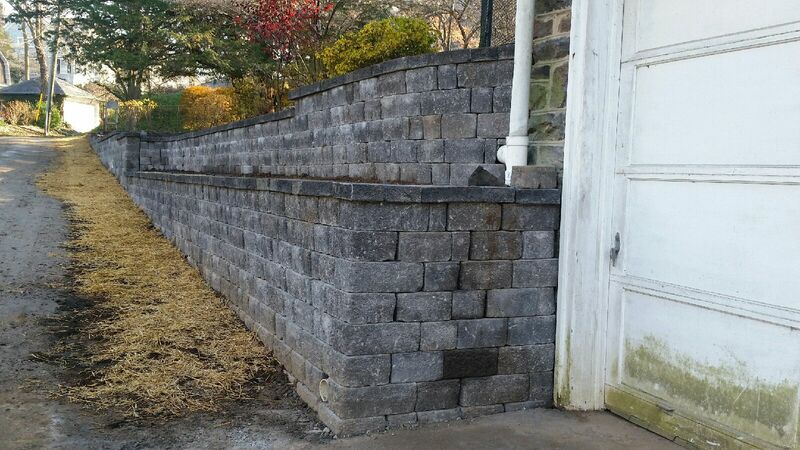 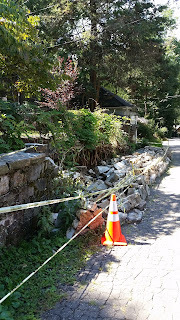 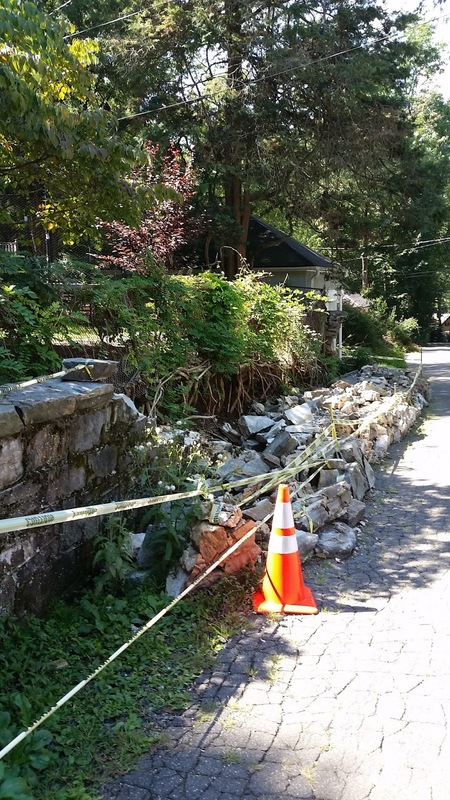 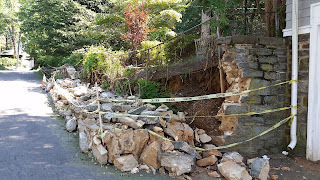 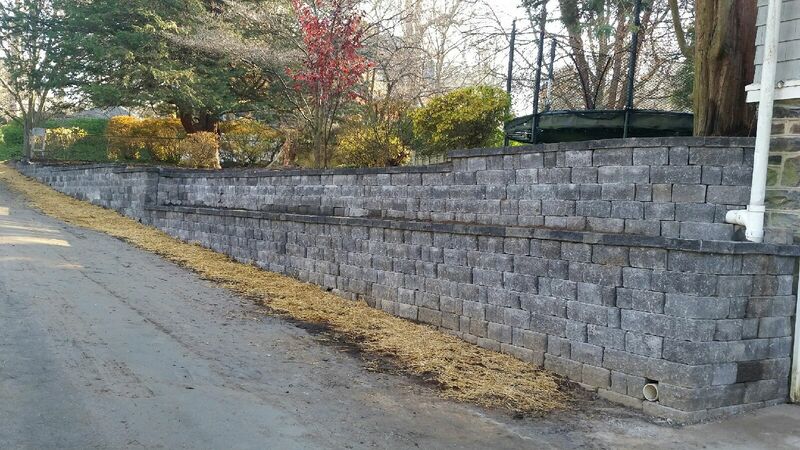 This 100 year old stone wall fell over so we replaced it with a interlocking concrete wall system. 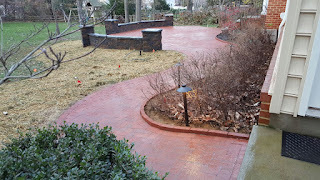 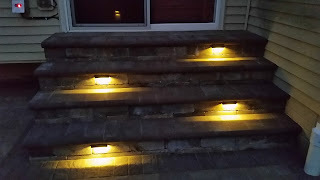 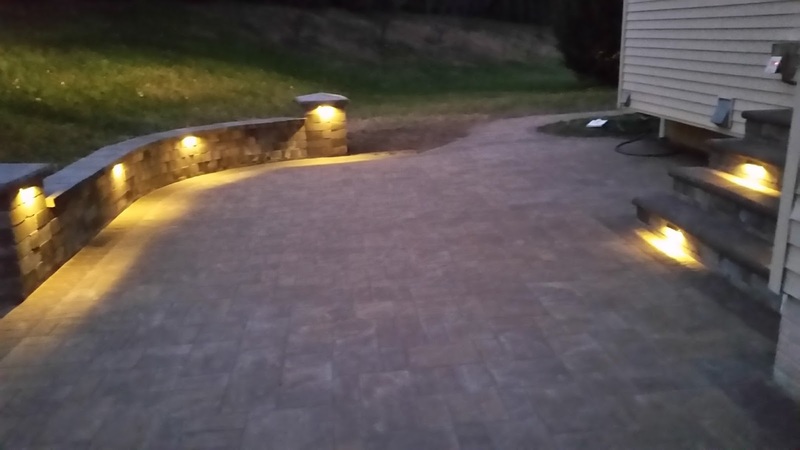 Red clay brick pavers, low voltage lighting, walls, and columns. 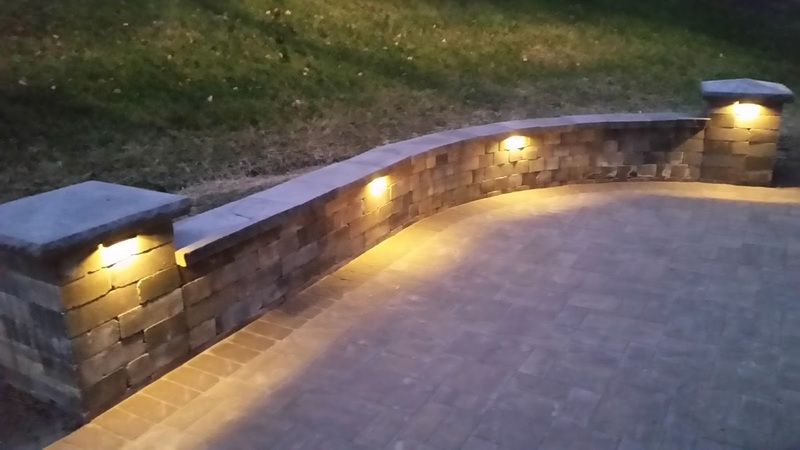 Nice layout. 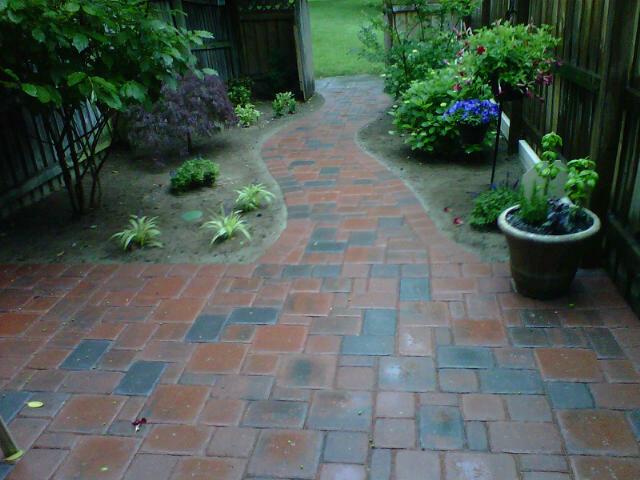 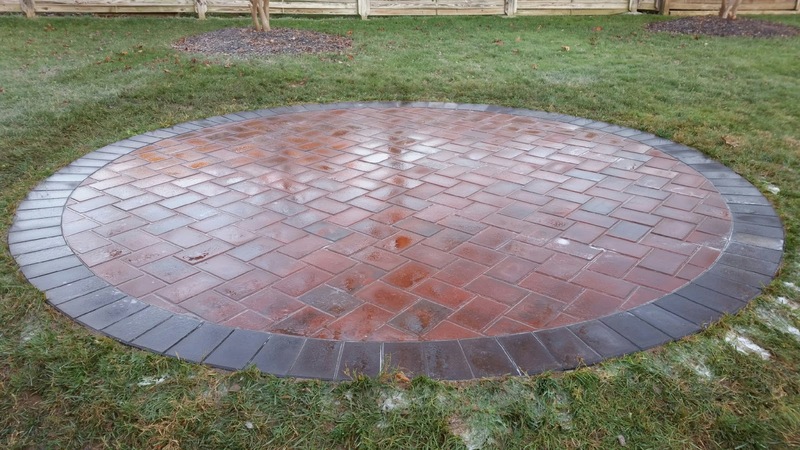 This is a 13 1/2' diameter size using Cambridge Kings Court pavers.